Codeus is fully responsive. It means, it can automatically adapt to different screen sizes, no matter which device your website visitors use. You can check it by resizing your browser window. 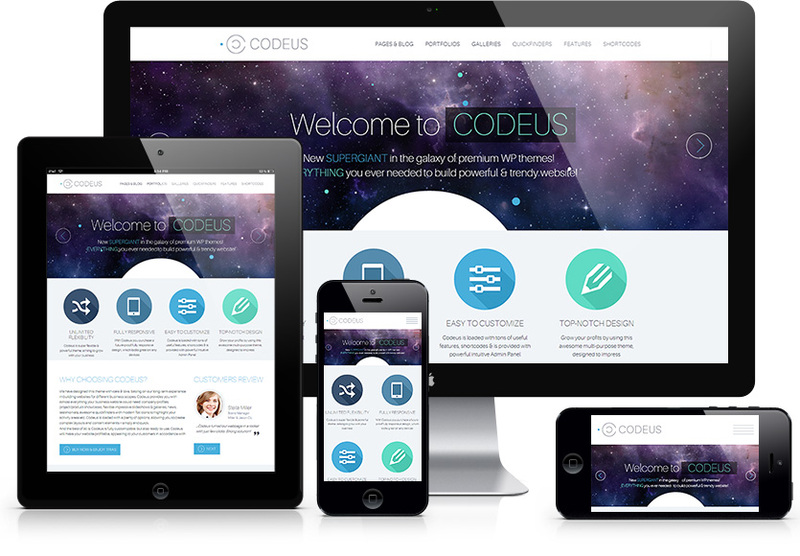 Every content & layout element of Codeus has been optimised to look great in its responsive variant. Don’t put limitations on your audience – let people discover your website on any screen and device they use.